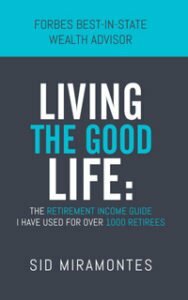 Posted at 17:09h in financial planning by Brett F.
There are many buzzwords surrounding retirement—but there is one in particular you should consider when plotting out your finances: Rebalancing. Are you curious what rebalancing means? If so, you will want to hear this story and see how rebalancing may benefit your retirement portfolio. The following is a short fictional story about an investor named Tom. Tom had dreams to be on top of all the latest financial trends and make the most of his money. Thus, he built what he felt was a cutting-edge portfolio. His four biggest investments were technology, agriculture, pharmaceuticals, and real estate. For diversity, he invested 25 percent of his money in each of these markets. His technology and real estate stocks began to perform incredibly well, which changed the diversification of his portfolio since the value of the other investments stayed about the same: he was now looking at a ratio of 30/30/20/20. Three months on, it was 35/35/20/10 (because agriculture had a bad quarter). All was going so well that Tom decided to sell off his underperforming agriculture investments to put into the other high-performing markets. The rally in tech and real estate continued, pushing his portfolio to a ratio of 40/40/20. Did you spot the investing mistake? Tom’s perfectly diversified portfolio went awry in two ways. First and foremost, the emotion of a stock performing well clouded his judgment. Tom allowed his portfolio to lean too far in one direction, opening him up to a higher rate of risk than he had originally planned for. What’s more, he compared his “underperforming” stock to the one that was in a rally, judging it against that exceptional situation. As a result, by selling his agriculture stock when he did, he broke the cardinal rule of investing: he bought high and sold low! But in the cloud of emotions and possibilities, it can seem logical. When his technology and real estate stock started to rise, what he could have done was sell off the portion of profit that went above the predetermined ratio he and his financial professional established, and then re-invest it to keep the portfolio diversified, a practice called rebalancing. You can lock in your profit, as you are buying low and selling high. Approaching things from an overly profit-sided perspective can cloud judgment. The opposite approach—one of setting long-term goals that make sense for your retirement plan, building a portfolio with an amount of diversity that reflects that goal, and then regularly updating your investments to keep them on track—often just makes good sense. After contemplating what rebalancing means for your portfolio, it is definitely something to look into with your financial advisor at Miramontes Capital. To keep your finances on track, it is a wise idea to rebalance your portfolio periodically. 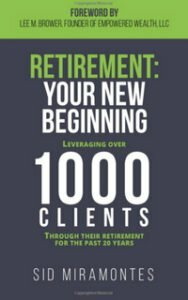 Sid Miramontes and Miramontes Capital have helped more than 1,000 people achieve their retirement goals—and Sid’s new book catalogs that dedication to every single client in the retirement planning process. You can request your copy of the book “Retirement: Your New Beginning” by clicking here. Schedule an in-office or over the phone consultation to discuss how Miramontes Capital can help you with your new beginning through retirement planning.